"He gained nearly eight strokes Tee To Green when tied 12th in the PGA Championship at Bellerive." Look at the list of recent winners of the Wyndham Championship and you'd think you'd googled Players Championship instead. Yep, five of the last seven champions at Sedegfield - Henrik Stenson, Si Woo Kim, Davis Love, Sergio Garcia and Webb Simpson - have all taken first prize at TPC Sawgrass, a remarkably strong correlation. Stenson didn't pull driver all week at either which is one clue while other similarities include both courses being in the southern states and both having bermuda greens although they were actually bentgrass when Simpson won in 2011. The link at the time wasn't quite as strong but it now makes more sense why Kim won the Players from seemingly out of the blue in 2017. The Korean had won here and it's a great pointer. Maybe not in terms of winners but the RBC Heritage at Hilton Head in South Carolina (we're in NC this week) is another pointer and Kim was runner-up there this year and, as this column knows all too well, it's incredible how he didn't actually win. Still, we now know the types of track he does well on and I see good reason to back him to win this again. The 23-year-old bombed out early at the US PGA but prior to that he'd fired 64-68-72-69 to take tied 10th in an elite field at the WGC-Bridgestone Invitational. He gained over six strokes with the putter that week while he'd also registered a positive SGP rating in four of his previous six events so the reason why some won't back him perhaps needs a rethink. He's actually putting quite well. Due to injury, Kim never got the chance to defend this crown in 2017 so he'll be doubly determined to win the trophy back having had to relinquish it without a fight last time. He ranks 19th in Strokes Gained: Around The Green which is key given that the small greens on this Donald Ross-designed par 70 are hard to find and as a two-time winner on the PGA Tour he knows how to get it done - even if that know-how deserted him at Hilton Head. I'm happy that he'll have it in him to get it right this time so take the 45/1. 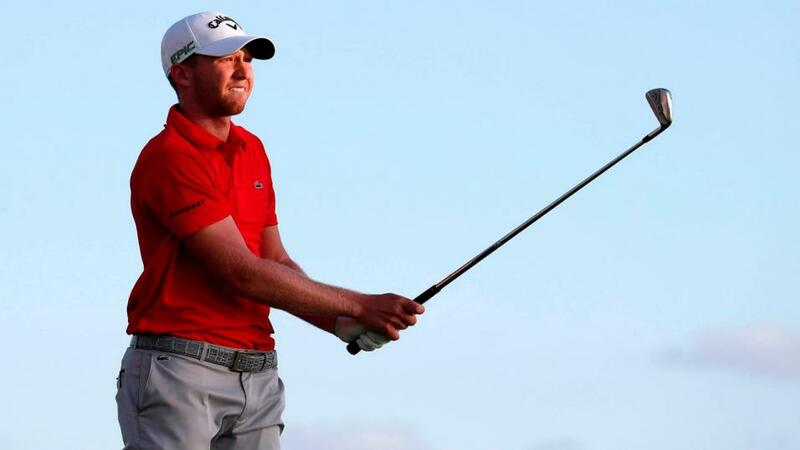 When thinking about players who do well on bermuda greens, Daniel Berger's name always pops up. You'll find plenty of quotes with him recounting how he "grew up" on the stuff and feels "comfortable". He's only played TPC Sedgefield once and it didn't go well as he missed the cut in 2015. However, an asterisk is needed as Berger was in dreadful form at the time, the MC here the fourth leg of an unwanted run of five straight early exits. Instead, let's focus on another par 70 with bermuda greens in the south - TPC Southwind. Berger won that event back-to-back in 2016 and 2017 to prove that he doesn't just like bermuda, he can win on it too. It was actually his ball-striking that paved the way for success in both those wins and that was to the fore again last week when he gained nearly eight strokes Tee To Green when tied 12th in the PGA Championship at Bellerive. He also went out in the final pairing at the US Open after surging through the field in round three, eventually finishing tied sixth. Confidence must surely be high after those two strong showings in the majors and the 33/1 looks big here and is surely based only the lack of course form. However, Kim's only previous start at Sedgefield was a missed cut before he won it two years ago so I'm hopeful that Berger can pull off the same trick. While TPC Southwind is a course where you can just smash the big stick all day, Berger is listed on the top 25 performers on Less-than-Driver courses on the Future of Fantasy website so Sedgefield. He also makes the list for best players on Par 70s so there's good reason to think that Sedgefield will suit. Looking at the front end of the market briefly, Webb Simpson could prove a very good favourite at 12/1 while 25/1 Joaqin Niemann looks a winner waiting to happen. Shane Lowry has come right back to form with a run of 12-15-12 in his last three events and has extra motivation this week as he needs another big effort to make the FedEx Cup play-offs. Only the top 125 get in and the Irishman is 139th. However, the 25/1 looks short enough and puts me off. Instead, I'll go to a player at 50/1 who has plenty of good form lines this week - Harold Varner. The American may be considered a bomber (20th in Driving Distance) and therefore not a great fit for this course but evidence says otherwise. This is his third knock at Sedgefield and last year he fired 63-68-66-69 to take a share of 10th place. He's done well on other North Carolina tracks too, finishing runner-up at the Web.com's Rex Hospital Open in 2014 and finishing T6 in the same event a year later. You'll also find a recent top 25 at Wells Fargo. More eye-catching given the previously noted correlation is his tied seventh in this year's Players Championship at TPC Sawgrass. He putted superbly on those bermuda greens back in May while in recent weeks he's been hitting hit wonderfully. Varner comes into the event on a run of 5-6-17 and in those three events - Greenbrier, John Deere, Canadian Open - he's gained a combined 22.787 strokes Tee To Green. If, on first glance, the 50s didn't look great, I think it looks a whole lot better when you drill down a few levels.